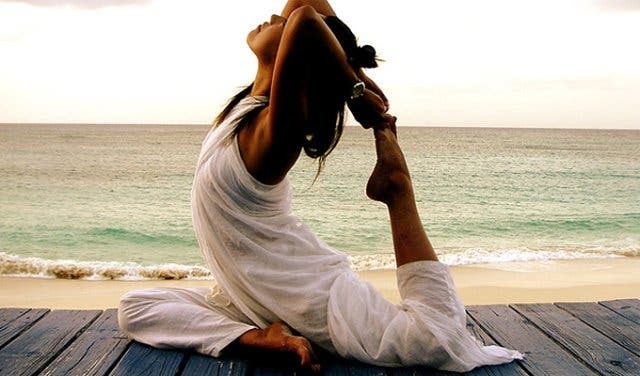 A wonderful thing about yoga is that you can do it just about anywhere with minimal equipment. 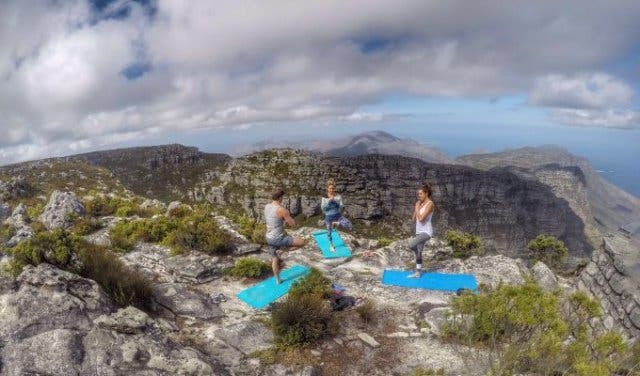 A studio is a great option, but doing yoga outdoors in nature has additional benefits. Nature enhances your practice by connecting you deeper to your roots – quite literally. Uneven, natural surfaces such as rock, grass, and beach sand can intensify your posture, helping to build stronger muscles. 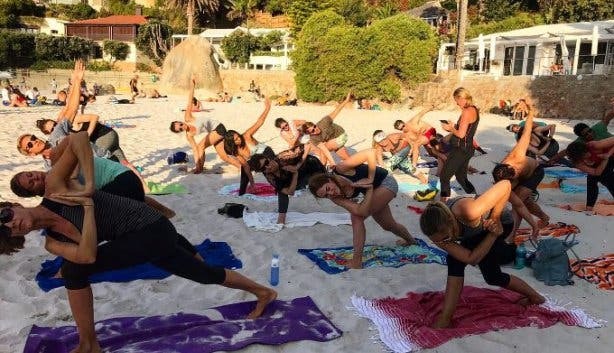 The Om Revolution offers a regular schedule of yoga classes in beautiful locations with qualified instructors, making yoga accessible and fun for all. 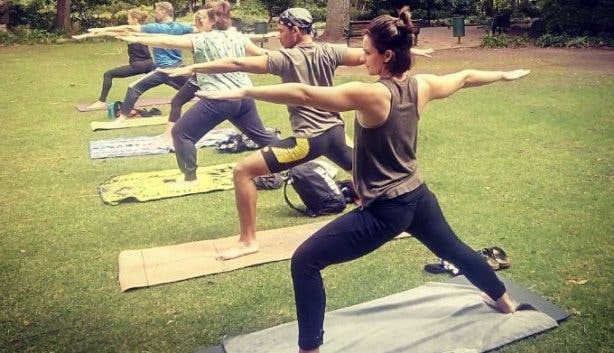 Anyone and everyone of all fitness levels, including yoga newbies, can join the weekly 60-minute outdoor yoga classes, which run from late October to round about April every year. In 2018 and 2019, classes are still R70pp or R50pp if bought as a block of four. As of January 2019, outdoor classes cost only R50. All the more reason to kickstart your health in the new year! Inhale, exhale and ommmm in places you’ve only dreamed of and take the photos that will make all your friends want to join. The Om Revolution can tailor classes to meet your individual or group requests if you prefer not to take yoga classes with strangers. 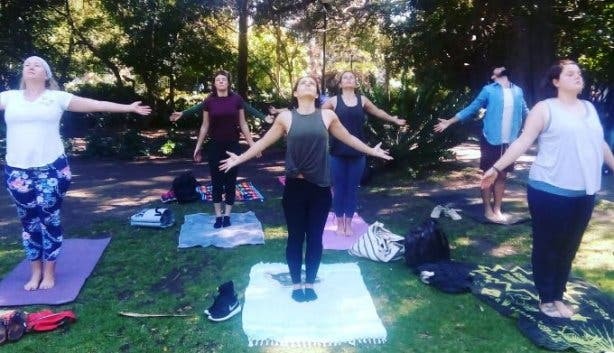 You can do yoga for just about any event, from corporate team building and wellness days to hen parties, weddings and birthdays. 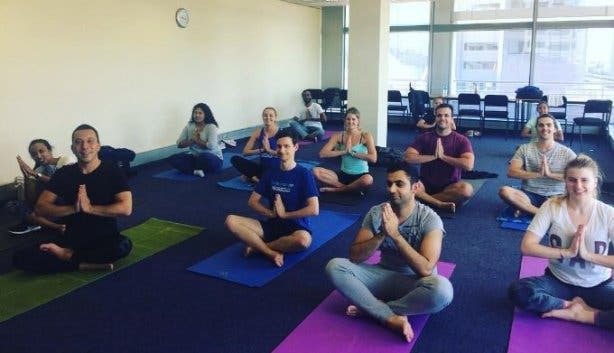 Reduce stress, tension and sickness by investing in the wellbeing of your employees through a simple and affordable method. 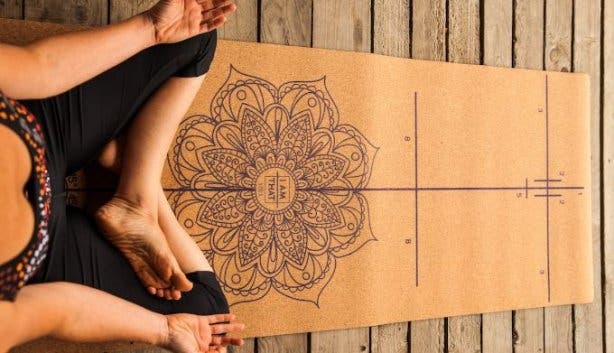 Yoga is an invaluable tool in the fight against workplace stress. You provide a space (conference rooms, rooftops, outdoor spaces) and a qualified teacher can come and show you and/or your team how to unwind. 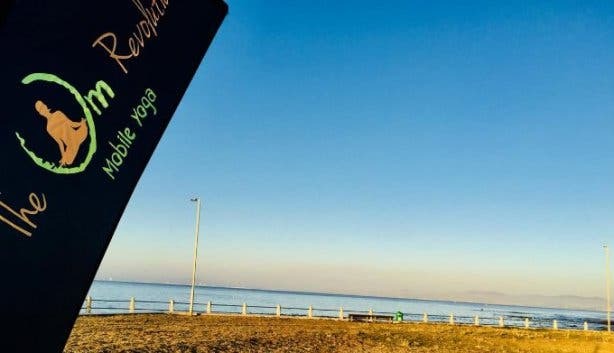 The Om Revolution is now under new ownership of husband and wife team Joe and Hayley Speakman who both thoroughly appreciate and enjoy the practice and benefits of yoga. 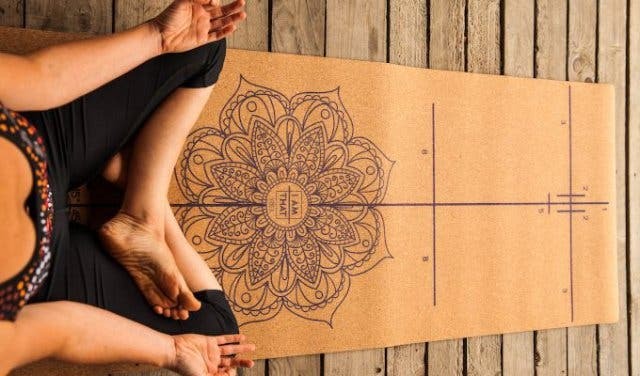 The business still operates in the same way and will continue to demonstrate the benefits of yoga across all levels and walks of life. Check out outdoor yoga in Cape Town. 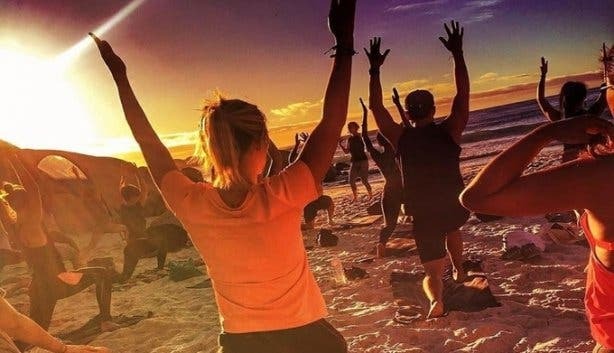 Come to the V&A Waterfront’s new Battery Park precinct and experience open-air sunset and sunrise free yoga. 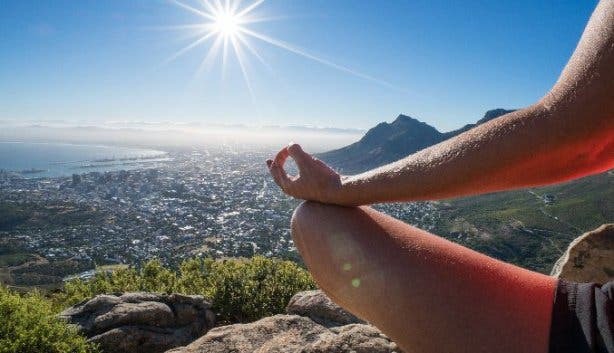 Or, check out our list of fun and unique ways to stay fit in Cape Town.